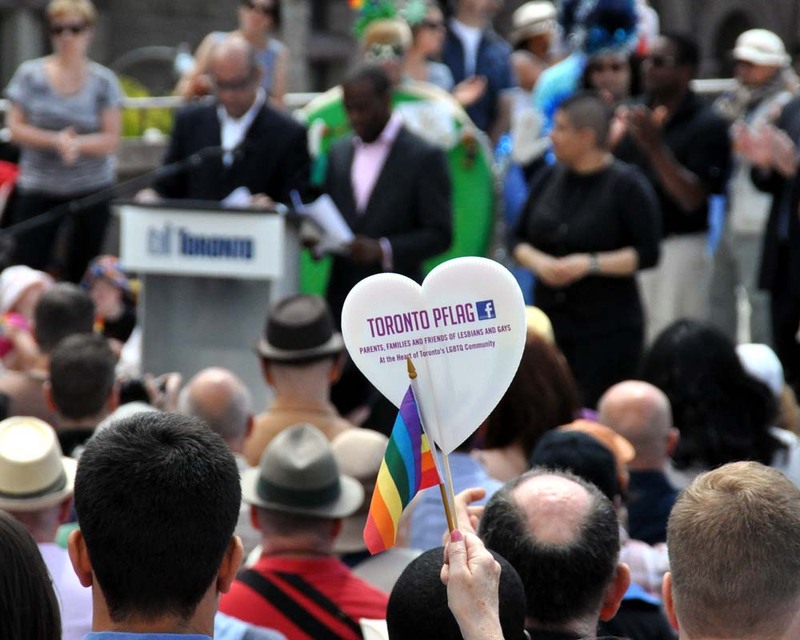 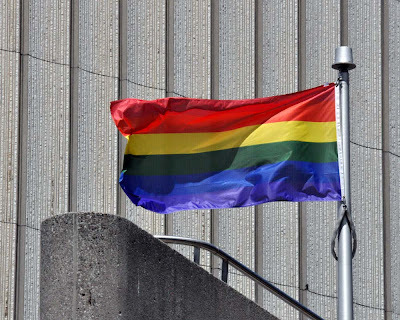 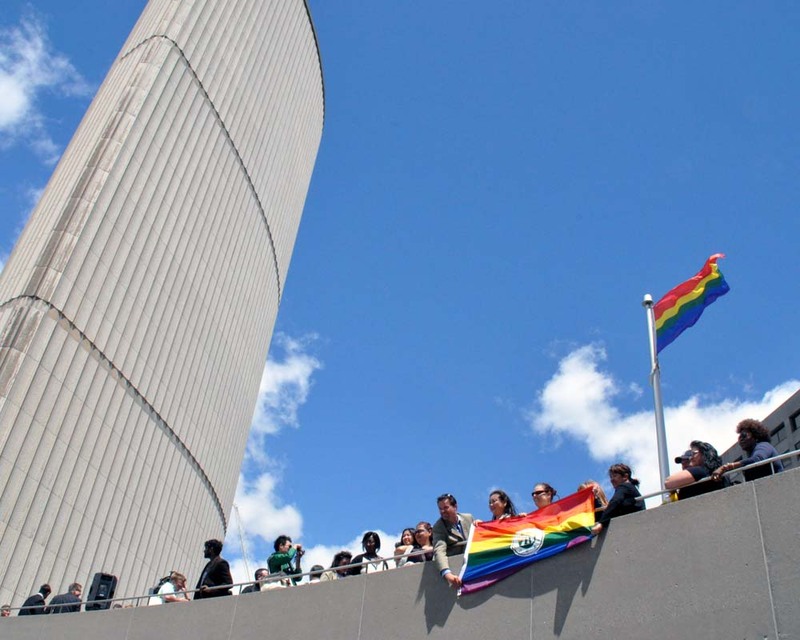 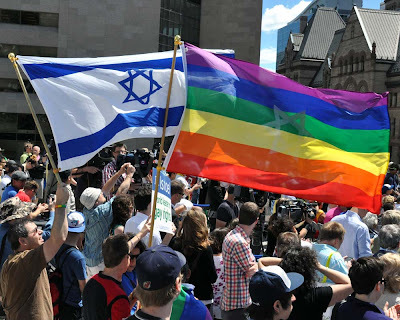 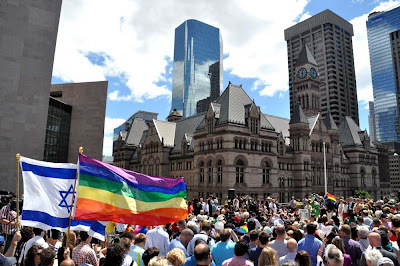 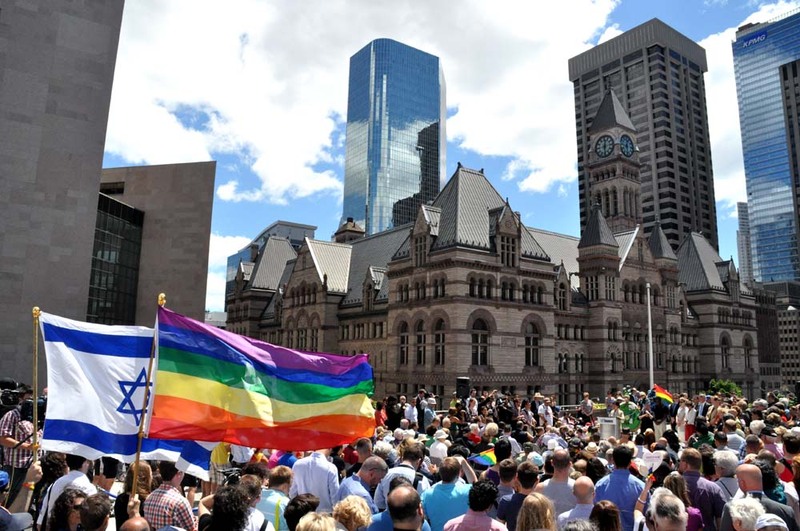 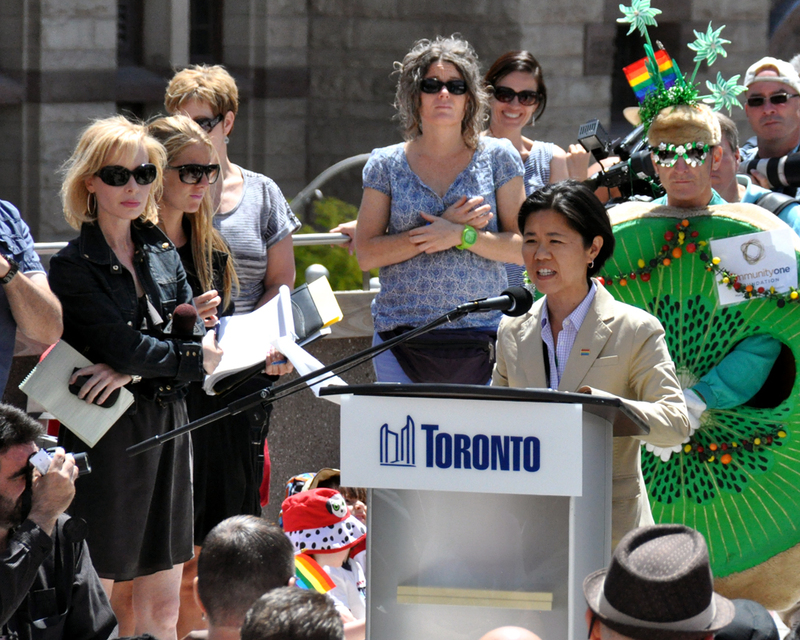 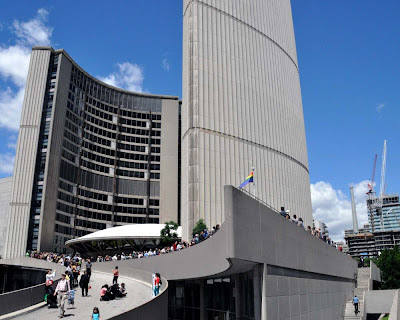 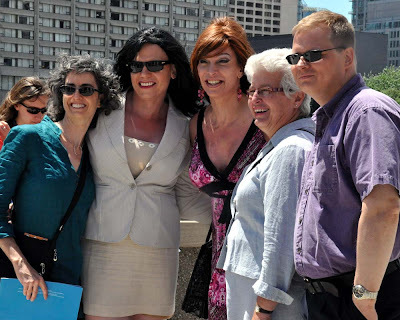 The Pride Flag will be flown at #Toronto City Hall with a proclamation ceremony starting at noon on Monday, June 25, 2012. 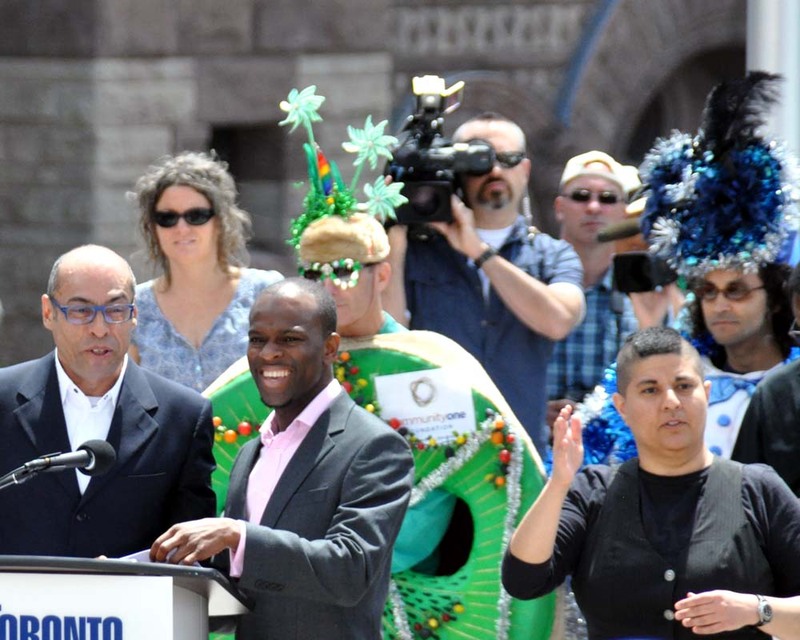 "This year's parade theme is Celebrate & Demonstrate. 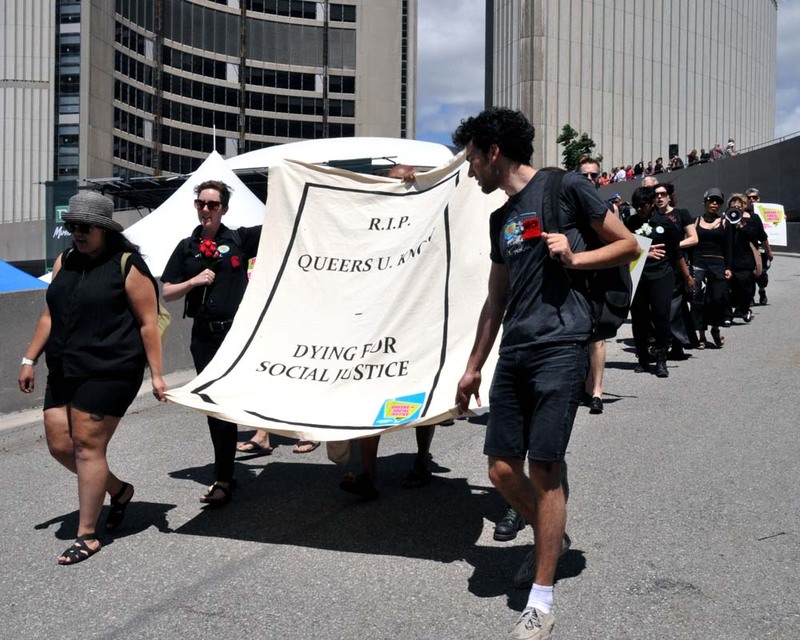 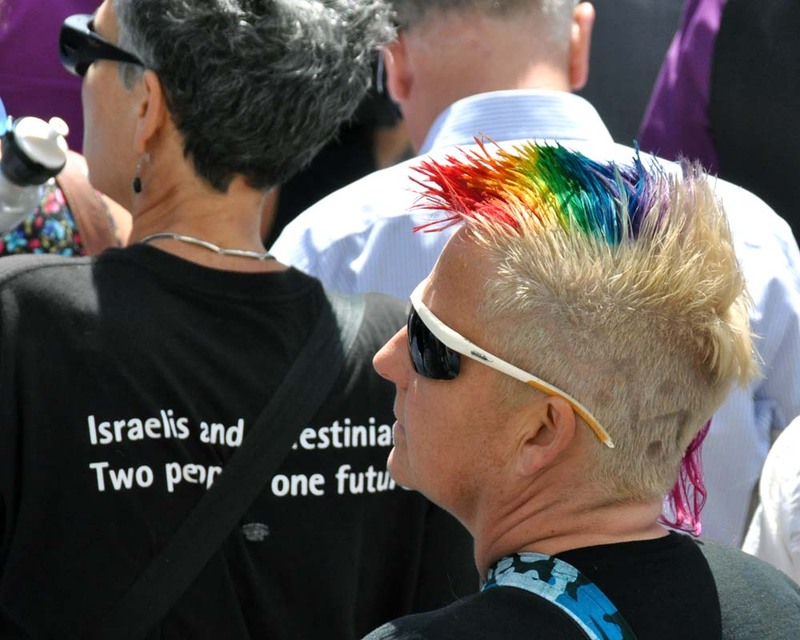 Pride Toronto exists to celebrate the history, courage, diversity and future of Toronto's Lesbian, Gay, Bisexual, Transsexual, Transgender, Intersex, Queer, Questioning, 2-Spirited and Allies (LGBTTIQQ2SA) communities, and we hope you will join us!" This year's festivities include the major parades and the Street Festival: Friday June 29 at 7:30pm is the Trans March, Saturday June 30 at 2pm is the Dyke March, Sunday July 1 at 2pm is the Pride Parade and the Street Fair Festival in the Church and Wellesley neighbourhood during the Pride weekend. See more Pride flag ceremony after the jump. 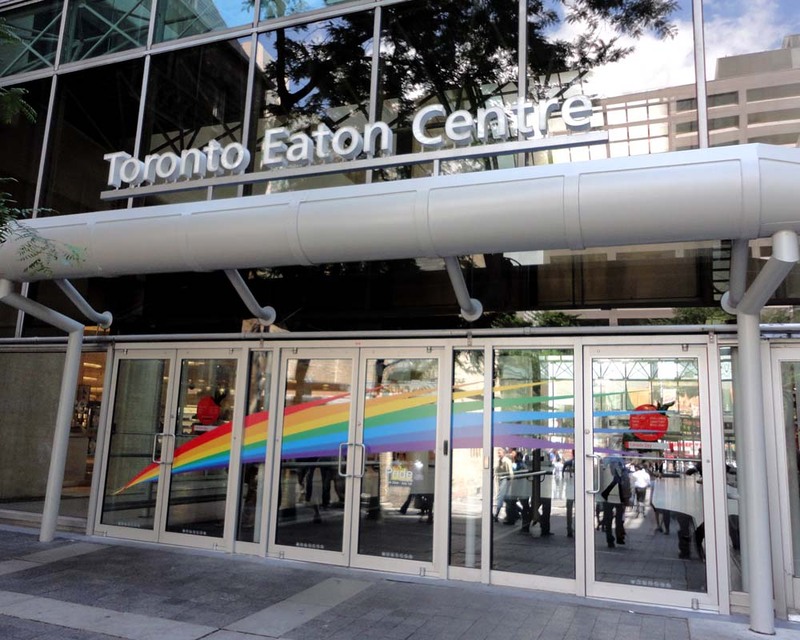 The Toronto Eaton Centre shows its Pride colours in the photo at top.